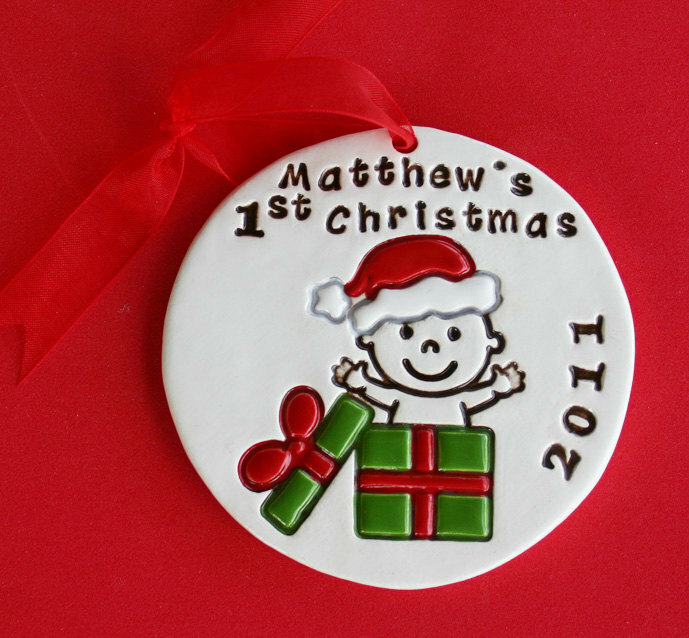 Celebrate a baby's first Christmas will this hand painted gift box ornament or gingerbread baby design. 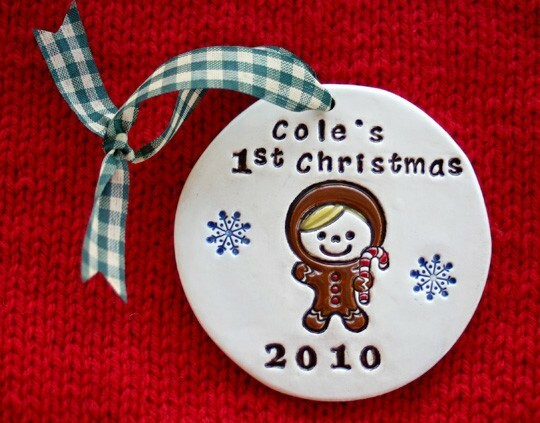 Custom made to order for baby girl or boy. 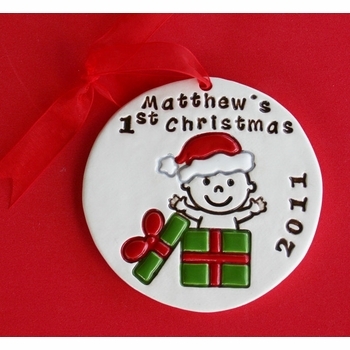 Add a child's name and year for a treasured keepsake. 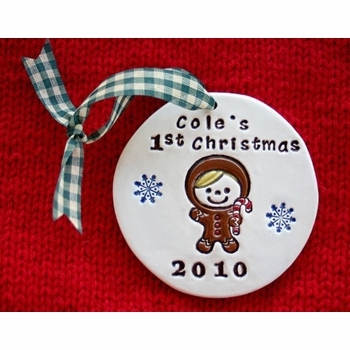 Ornament measures approximately 3 3/4" diameter. Custom painted for each color.